Written by: Greg Zelnik on September 1, 2014. 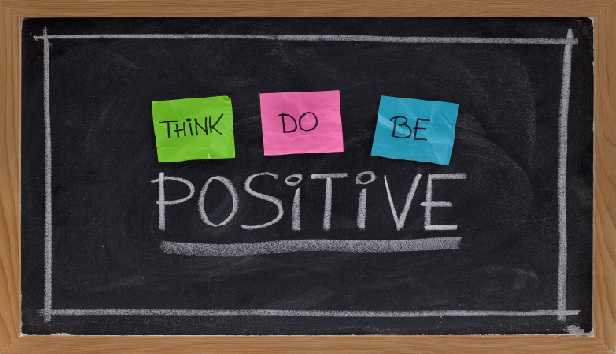 Last week I wrote about staying positive and the choices that we have to be positive. This week I would like to touch on how to keep being positive. This is from the extensive reading that I have done as well as my own experience. We have all heard the expression we reap what we sow. 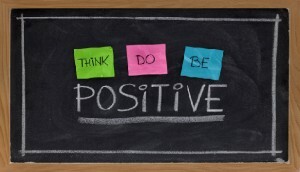 It is important to keep sowing positive thoughts positive words and positive energy into our daily lives. I don’t know if it is because of the media but it is very easy to see the negative. We have been conditioned to see negative things around us. It is very easy to get caught up in the negativity. Therefore we need to do what we can to stay positive. Unfortunately, this may take more effort than being positive just because of the way life is right now. So how do we battle the negativity and stay positive. Thanks for asking. First, as I mentioned last week just being aware and reminding ourselves to be positive is a good first step. I like to read quotes and inspirational messages on a daily basis. One good source for that is www.greatday.com by author Ralph Marston. Another way to keep it positive is to have some type of positive goal or objective to focus on, something that gives us direction. When we have specific targets to shoot for it helps keep us on the path that we want to be on instead of just winding up somewhere and then wondering how we got there. If we take the wandering approach then we may end up wading in the sea of negativity with all of the other wanderers. Next, we can do is limit the negativity that enters our lives. When we hear others complaining or moaning about this or that we can either walk away and find something else to focus, on or we can redirect the conversation in a more positive manner. Many times people hop on the band wagon and share their negativity. Think of your life like bank account with each negative thought or emotion as a withdrawal and each positive thought or emotion as a deposit. We need to be making many more deposits than withdrawals to keep our bank account in the black and not getting overdraft fees. This concept I learned from a relationship book. I think it is a great analogy. And to finish on a positive note, another very powerful technique to staying and keeping positive is to add humor and laughter to every day. Recently, I heard how much humor and laughter can affect us, not only emotionally but physically as well. Find things to laugh at, make others smile, read the comics or just get goofy for a minute. You will be surprised how much better you will feel. Think of Patch Adams and the power that he has. If you are not familiar with Patch Adams watch the movie starring Robin Williams. You will be adding much to bank account by watching that movie. To get you started with your laughter and smiling quota for the day here are a few humorous quotes. Until next time have fun day filled with laughter and positive thoughts.